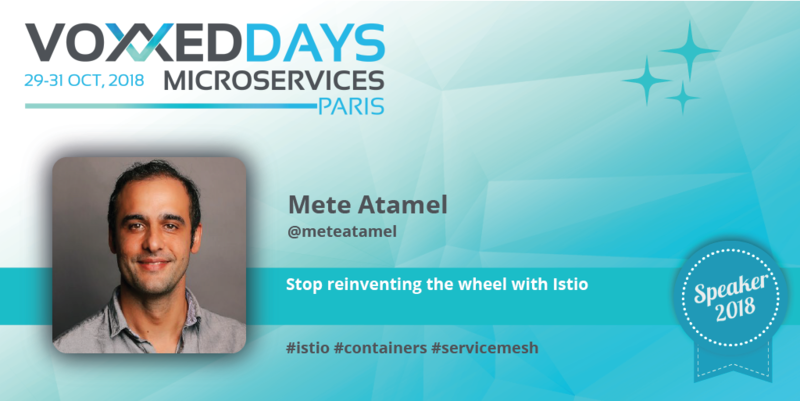 Mete Atmel talks about what new capabilities service mesh like Istio bring to microservices development ahead of Voxxed Days Microservices 2018. Hi, Mete, tell us who you are and what lead you into microservices. I'm a Developer Advocate at Google, based in London. I got into microservices out of necessity. In my previous roles, I did my fair share of monolithic apps, which sounded like a good idea back in the day. However, at some point, I remember our app got so big that, I couldn't debug it locally anymore. My laptop was simply not powerful enough. That was both scary and also a wake-up call for me to look into alternatives. That's how I got into microservices. I'll be doing intro level talk to Istio, an open platform to connect, manage and secure microservices. I'll start the talk to talk about the motivation and technologies behind Istio such as containers and Kubernetes. Then, we'll get into details of what Istio provides and how it can help for your microservices cluster. Back in 1998, in J2EE 1.2, the message was "concentrate on business code, the container will look after the plumbing." Today, with Istio, it looks like the message is the same. Aren't we reinventing the wheel? What's new with Istio and microservices? The message might be the same but the approach is totally different. In Java EE, you had to write your app in a very specific way for it to take advantage of the Java EE features. Moreover, Java EE advocated a single monolithic app packaged in a certain way and deployed all at once. In Istio, you can write your app however you want (thanks to containers), you don't have to change your app code at all to take advantage of Istio (thanks to sidecar proxies) and each service is truly independent. On top, Istio provides a lot of features like dynamic traffic management, mutual authentication, fault injection and so on that JEE did not really try to address.